My heart goes out to you. You were seriously wronged. In my country, the US of A, our founders wrote the first amendment to our Constitution – the freedom of speech – precisely for this reason. They saw a need to be able to speak out against the government without repercussions. You have spoken out against your governing body, with legitimate concerns, and have been crushed because of it. This is an age old story. The King Has No Clothes. My vet actually told me that the fish that was in the cat food (that HE sold me – Science Diet) was what had caused my 12 year old cat to have a life threatening thyroid disease. Why the confilct of interest? Profit! for you to be fined by the veteranary college you must’ve signed a contract with them and broken that contract. Make them provide the contract, hand signed by you and the director of the vetenary college so that it is lawfully binding, and in that contract it must state really clearly exactly which words are these ‘forbidden’ words. If they cannot provide you with this then you haven’t broken a contract and cannot be punished. At this point a want to make it very clear that the majority of so called contracts are not valid and are not lawful contracts because they have not been hand signed by all involved parties. Remember! an electronic signature or a rubber stamp of a signature are NOT ‘wet’ (hand signed) sigantures and therefore the so called contract is not worth the paper it’s written on. Hope this helps, and just think – they must be really scared of you and the information that you are making public for them to want to fine you so much! It’s just plain unfair the way Dr. Jones was treated. 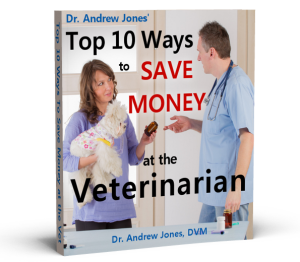 While the other very unprofessional and questionable vets were given a slap on the wrist, it seems as though Dr. Jones, while being a very compassionate person and vet, had the book thrown at him. His patients had every right to go to another vet if they weren’t happy with his practices, but it seems they were very happy with the results they received. If he were to practice in MN, near me, I wouldn’t hesitate to take my 5 dogs to him! LIcensing boards are typically behind the times when it comes time for trying something new or allowing something new. Sometimes this is due to conflict of interest; more often than not, money is the real reason. Alternative care is relatively inexpensive, do not use intellectual property and can’t be patented, so there is a huge interest in suppressing this knowledge. I will say one thing though: veterinarians in the US are more open to alternative treatments than are medical doctors, especially the older ones. Over time, as retiring board members get replaced with younger ones, I expect this to change. It seems it should be illegal to restrict the speech of anyone. What this comes down to is that veterinarian organizations, especially schools, depend on the pet food and supply industry to support them with large cash grants and product. When people support natural and homeopathic methods of healing it threatens the very hand that feeds veterinary institutions. Money, greed, and corruption make the world go around even in the world of animal care. The pet food and supply producers are a huge multimillion dollar industry that has taken control of a huge market, including veterinary education and businesses. By giving big hand outs to veterinary colleges they gain a huge following. Once a vet goes into business they have to depend on the pet food and product industry for RX foods and diets for recommending to patients. The industry will supply free samples and other advertizing agents to display in the vet’s office. Of course the pet food industry also gains recommendations from “researchers” that are paid by the company it’s self. All the while consumers are buying low grade poorly produced foods full of the worst kind of slaughter house remnants that are manufactured into “food” under unsanitary conditions. Not to worry though! All the ingredients are cooked at extremely high temperatures until any nutrient that may have been present has been removed. Nutrition is obtained by adding synthetic vitamins processed in China. Anytime someone speaks out against the hideous things that these manufacturers are doing they are met with the “expert” veterinary response telling us that these products are “safe and healthy” for our pets while actual investigation proves otherwise. The veterinary profession is in this very deep and their response to those who speak out against the tidal flow of junk products being sent out to market is far from impartial. Shame on those who make a living supposedly helping our pets but who are truly gaining by protecting a corrupt industry. And shame on those who impede the speech of those who want to tell the truth to consumers. I feel that you have been duped. I have a similar experience. I am not a vet, but do provide an alternate therapy. I am a Certified Equine Sports Therapist. I went to a recognised ( by the BC government) college for 2 years.BC College of Equine Therapy. Now the veterinarians are trying to get rid of us to. I have seen amazing things happen with animals and alternate therapies. I know how you feel. What ever happened to our freedom of choice? If there is ever anything you would like a hand with, I sure would be there for you. I totally agree with everything everyone has said. You need to fight this to no end. I wish there where more vets like you. The fines are an injustice, I am sure the Veterinary College are sorry they didn’t come up with the idea of holistic treatment for our pets themselves, then again, with that action they are only showing their true colours, the fear that some thing better to what they can offer might happen. Hold on a second, It is happening already! Many of us are learning so much and helping our beloved creatures in a better and safer way than never before. Thank you Dr. Jones for standing up for what is right; it will take more like you to finally open the eyes of our sleeping citizens to see the truth of medicine in both animals & humans. And in a lot of cases, poisoning our animals and calling it medicine. We need to educate ourselves instead of blindly following the organizations that do not (or can not see that they are not) making laws to protect citizens, but to support big pharma. Congratulations! I applaud your courage to stand up for what you believe to be right controlling, power hungry governing bodies. It is high time the public was made aware of the the shenanigans that go on in professional ‘colleges’. What the public doesn’t realize is that MD’s are bound by the same muzzling techniques. I was a Registered Massage Therapist for 27 years in Ontario and our college is just as ridiculous in theory. Among other ‘interesting’ policies: now that I am retired I can no longer use the title RMT! The knowledge has been removed from my brain, I guess. Bravo Dr. Andrews! And thank you! Shoot…Dr. Jones not Andrews…it was meant to be Dr. Andrew (as in your first name) Please edit if possible. My apologies! Dr. Jones, Thank you for all you do. Of course, your treatment by the veterinary college is “unfair.” However, what you’ve done is to threaten their income stream, as well as their “authority.” IMO it would be a waste of your time, energy and funds to fight or appeal their decision. The “Good News:” you own the Nelson Clinic and you have a following on the internet. You might consider yourself FREE of the constraints laid on other veterinarians in BC. Can’t believe what and why the toke your right to practice the natural way! I believe in that and I am even treating my Cat natural it is working better that with a Vet. got an Antibiotic injection but 3 day’s later it was not getting better.I believe in Allern.Med. i will always believe and support you Dr. Jones. I also have a great concern to animals and their welfare. Two thumbs up to you, two index up to you, two ring and pinky up to you. Continue your love to animals and along your fight, I’ll be there, I promise!!! More powers to you. God Bless.